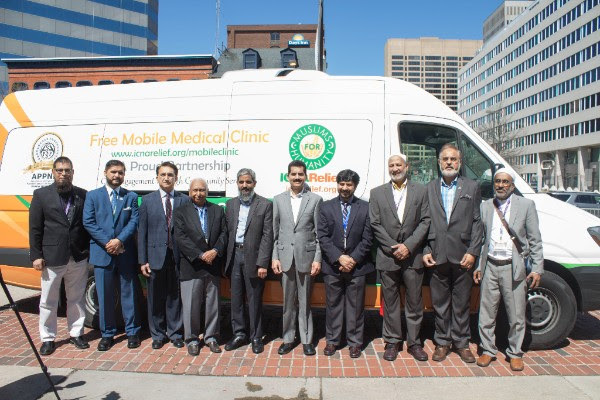 ICNA Relief in collaboration with APPNA (Association of Physicians of Pakistani Descent of North America) unveiled a free mobile clinic in downtown Baltimore on March 31st at the ICNA-MAS convention. ICNA President Br. Javed Siddiqi, Vice President Dr. Mohsin Ansari, APPNA President Dr. Sajid Chaudhry and ICNA Relief CEO Br. Maqsood Ahmad along with members of ICNA Relief and APPNA volunteers were present at the occasion. This mobile clinic is a Mercedes Sprinter van which has been converted to a portable doctor’s office complete with triage space, medical equipment and a sink. This van will be based in the Baltimore area to serve the uninsured, but will be traveling throughout the Northeast region to offer assistance to other communities as well. 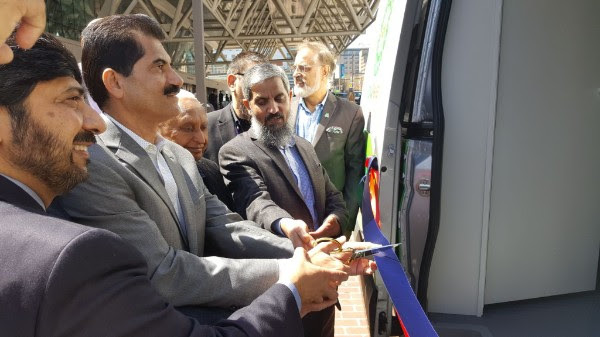 One other van has already been purchased to be converted into another mobile clinic, while ICNA Relief and APPNA make arrangements to purchase two more. 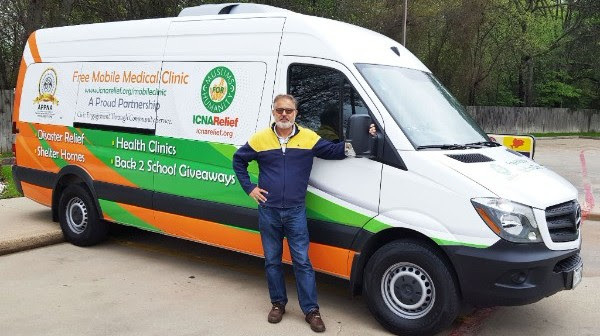 “The idea is to have mobile clinics in different regions of the U.S. — the Northeast, Midwest, South and West — and to have these vans drive around their regions serving low-income and uninsured individuals free of cost,” said Muhammad Uzair, Director of ICNA Relief’s Free Clinics programs. “This will also allow us to complement our colleagues in the Disaster Relief program so that God forbid, if there’s ever a disaster, they have a mobile clinic somewhere in their region that can be quickly be deployed to attend to the sick and injured,” Uzair said.